Hello everybody, and welcome… to the Cave of Trials! This is a new weekly feature at Zelda Informer that will pit two characters from The Legend of Zelda franchise against each other in a popularity contest battle to the death! For all you older Canadians out there that used to watch MuchMusic, this will work in much the same way that their show, Combat Zone, did. The premise is simple: two characters this week will duke it out for the Zelda Informer Title. Whoever has more votes at the end of the week, wins. The winner will then go on next week to defend the title against a new challenger, as decided by you guys! That’s right, leave a name in the comments of who you want to see step up next week and the character with the most votes will get their chance to dethrone the champion next week! Be warned though – a character only has one shot, so choose wisely. If a champion is successful in defending their title for six weeks in a row, that champion will be retired and the title declared vacant! This week’s inaugural episode will see a battle for the vacant title between the face of the Zelda franchise, Link, and one of his greatest and most deadly foes – The Great Wind Sorcerer, Vaati. Will courage prevail? Or will darkness cover the land? 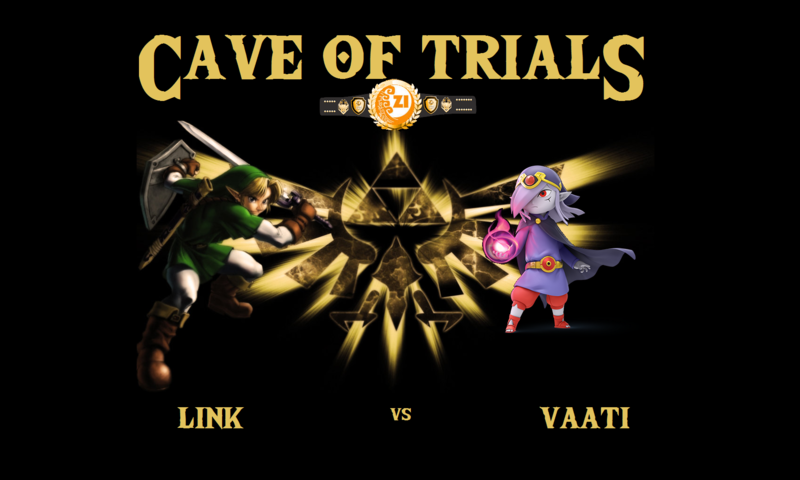 And who will enter the Cave of Trials next week? It’s all up to you!